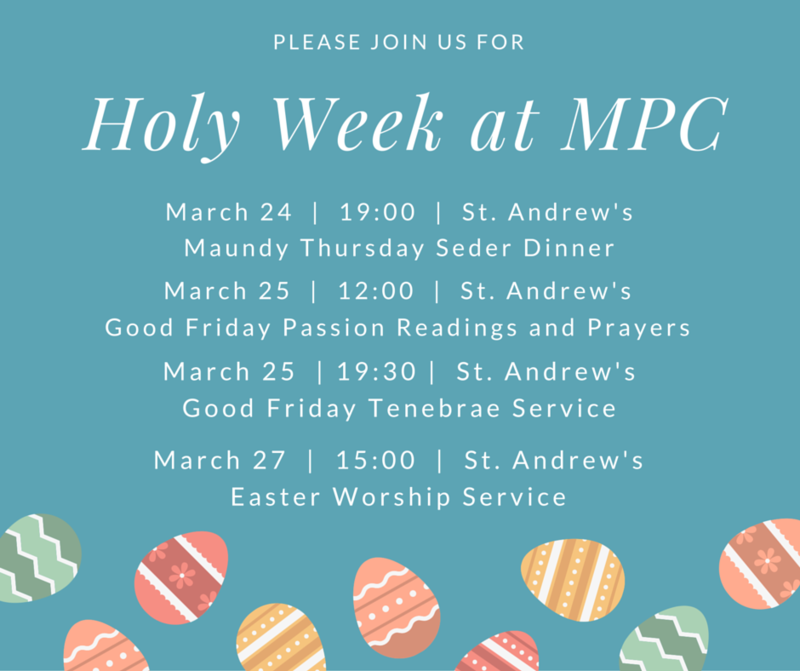 Please join us for our Holy Week services on Maundy Thursday, Good Friday, and Easter Sunday. All services will be held at Voznesenskiy pereulok 8. Thursday, March 24 joint service with St. Andrew’s: Maundy Thursday Seder Meal at 19:00 followed by 20:00 Eucharist. This is an ancient ceremonial dinner which commemorates the Exodus of the Jewish people from Egypt. It is followed by a moving and simple Eucharist at which feet can be washed, communion is offered, and the altar is stripped. Please contact Fr. Clive at chaplain@standrewsmoscow.org by Sunday, 20 March, if you would like to attend the Seder meal. More details are on https://standrewsmoscow.onthecity.org/plaza. Thursday, March 25 joint service with St. Andrew’s: Good Friday Passion Readings and Prayers from 12:00 to 15:00. Please feel free to join at any time. We will be praying and offering readings throughout this service every half hour starting at 12:00. 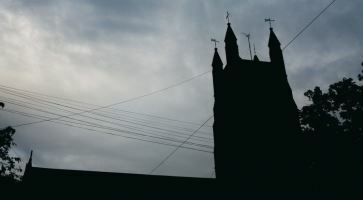 Friday, March 25 joint service with St. Andrew’s: Good Friday Tenebrae Service at 19:30. This known as a Tenebrae “the extinguishing of the light” service. It is a liturgy which follows The Way of The Cross with readings, prayers, hymns and music. Sunday, March 27 at 15:00: MPC Easter Worship Service.